Free shipping. Buy direct from HP. See customer reviews and comparisons for the HP Pavilion 595-p0084. Upgrades and savings on select products. 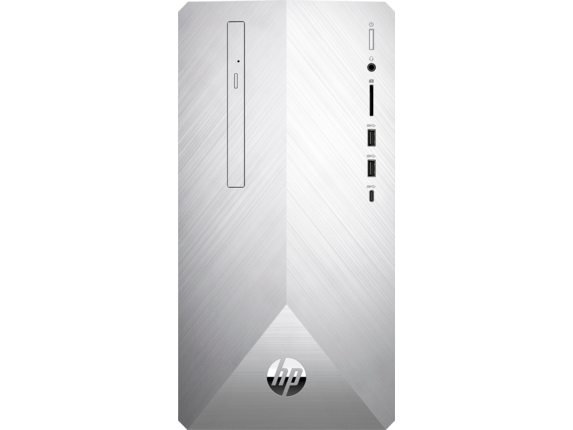 The HP Pavilion 595 is a stylish desktop computer designed with robust starting specs and a dramatically reduced footprint, from its optimized power usage to its sleek, space-saving dimensions. At only 6.69 x 10.9 x 13.3 inches, this PC is much easier to store and takes up less of your workspace compared to other desktops. And when you pair it with a thin display, you can reclaim even more of your workspace. The smaller size doesn’t mean it skimps on features, though, because it boasts easy Bluetooth syncing and a great wireless connection. You’ll also find a CD/DVD optical drive with read and write capability that’s mounted vertically to save space along with plenty of connection ports offering front and rear access. 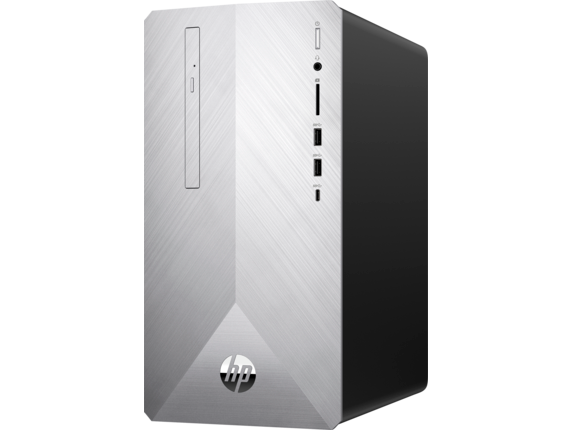 It’s finished off by a natural silver front bezel and brushed metal pattern with raised edges and accents, but there’s even more below the surface of this compact HP Pavilion desktop. At the heart of the HP Pavilion 595 is a powerful 6 core Intel® Core™ i7-8700 processor with integrated Intel UHD Graphics 630. You can configure its RAM to either 16GB or 32GB, plus you get 128GB of PCIe® NVMe™ M.2 SSD storage backed up by a 1TB 7200 rpm SATA drive. This hybrid storage configuration helps with stability over time and provides improved response times. If you need more storage, there are expansion slots available to boost your capacity. 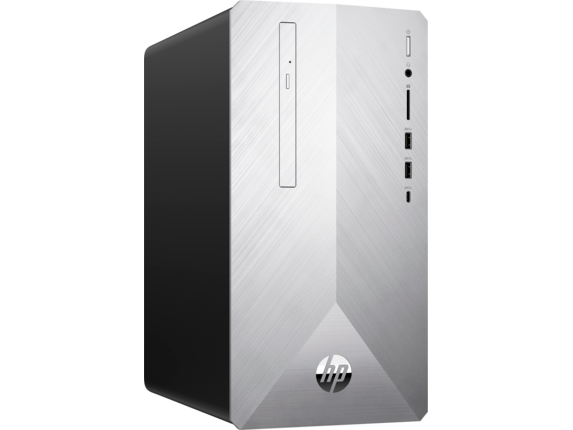 While this HP Pavilion may be powerful, it also minimizes its power usage and environmental impact to reduce the profile of the traditional desktop. To protect the environment and reduce energy costs, the HP Pavilion 595 is configured for compliance with ENERGY STAR® standards and features EPEAT® Silver certification. For a high-quality and visually consistent display companion to your PC, the HP 27er 27-inch display is a great option. Boasting a native resolution of 1920 x 1080 pixels at 60 Hz, it also provides an easily adjustable support for your comfort. The thin bezel and standard suite of connection ports also make for simple multi-display configurations if you want some serious extra screen space. Just like with PC technology, photo printing has also seen dramatic changes in terms of what’s possible. Rather than a cumbersome printer setup or committing to an oversized all-in-one model, the HP Sprocket photo printer offers a mobile solution you control wirelessly - and it weighs less than half a pound. Measuring an impressively slim 2.95 x 4.57 x 0.91 inches, the HP Sprocket is portable photo printer that requires no cartridges or ink. It also works on a long-lasting charge with an efficient low-energy idle. If reclaiming space for you is a true priority, it can be a great way to compound your savings with the HP Pavilion 595.